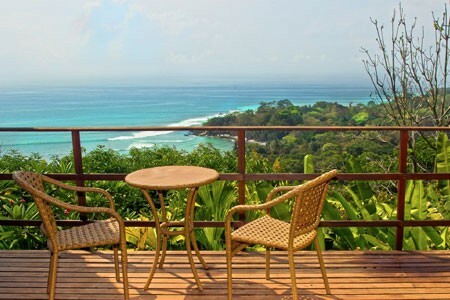 For those who love raw, natural beauty far from the crowds, few destinations can compare to Costa Rica’s South Pacific and Osa Peninsula. 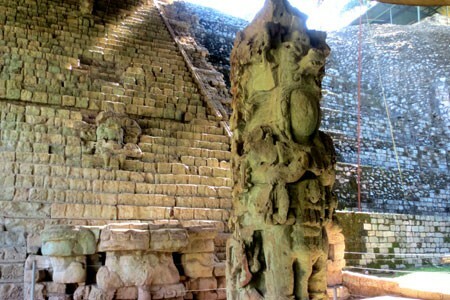 Its hidden treasures are so remote, they’re best reached by boat or a small plane from San Jose. 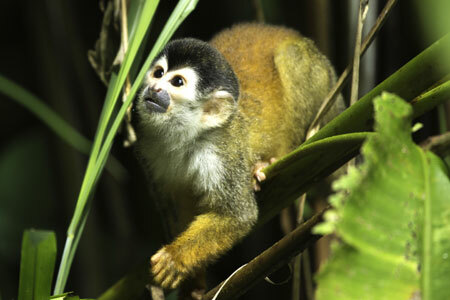 Enormous stretches of lowland rainforest blanket most of the region, home to more than half of Costa Rica’s wildlife species. Monkeys and scarlet macaws far outnumber people here, and the abundant rainfall, heat, and humidity keeps the jungle lush and dense with every possible hue of green, bordered by shimmering blue waters and virtually deserted beaches. There are few towns in this region, but you’ll find some excellent nature lodges with surprisingly refined amenities near the parks and along waterfront areas. 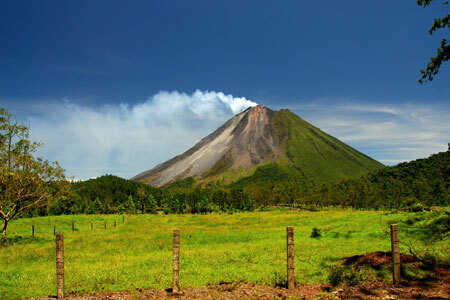 Most travelers to this region head for the ultimate ecotourism destinations, the Osa Peninsula. 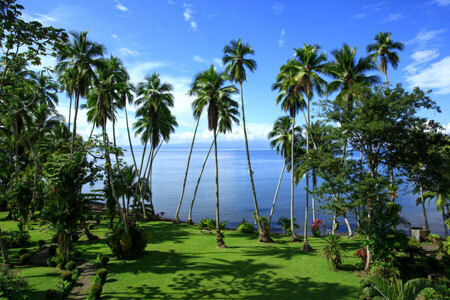 Flanked by Golfo Dulce, Drake Bay, and the Pacific, it is remarkable for its isolation and biodiversity, with spectacular wilderness beaches, mangroves, and estuaries, pristine waterfalls, rainforests, and mountains. 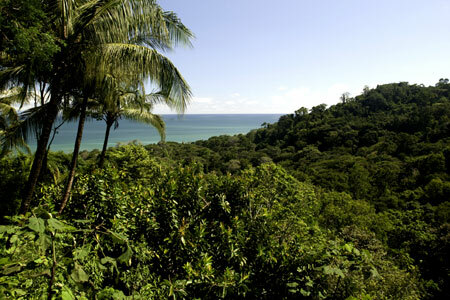 Corcovado National Park, a 424-sq. km/164-sq. mi reserve established in 1975, takes up more than one third of the peninsula and encompasses 13 major ecosystems. 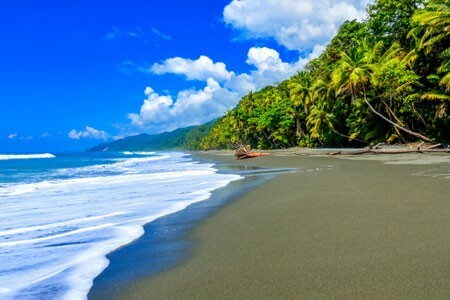 Corcovado is home to about half of all of Costa Rica’s species, including 400 bird species, 140 mammal species, and hundreds of fish and reptiles. On the other side of the Golfo Dulce is Piedras Blancas National Park, a 14,000-hectare reserve protecting Golfo Dulce’s lowland tropical rainforest, bays, and beaches. 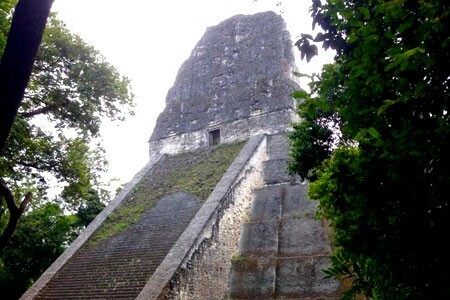 Teeming with wildlife, it is one of the few remaining habitats for jaguars and other endangered species, and also hosts some species that have not yet been identified. 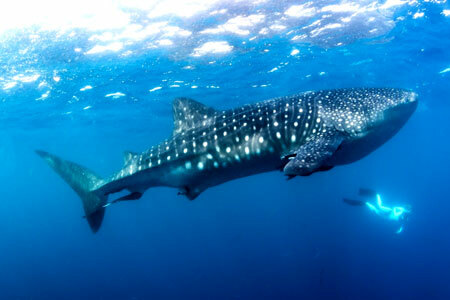 The South Pacific offers virtually every ecotourism activity you can imagine, whether it’s jungle hikes, bird watching, kayaking in the gulf or along rainforest estuaries, watching for humpback whales or dolphins in Uvita’s Parque Nacional Marino Ballena, or scuba diving or snorkeling near Caño Island. You can also count on unforgettable surfing, with the world’s longest surf break at Playa Pavones and the barreling breaks of Dominical, as well as sensational sportfishing. 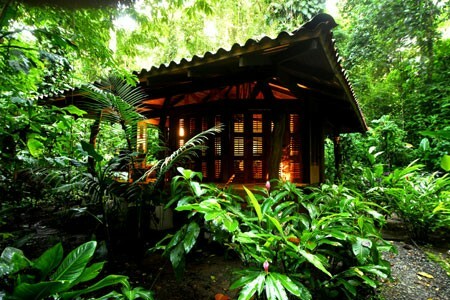 It is often hailed as the most pristine, picturesque, and perfect spot in Costa Rica. 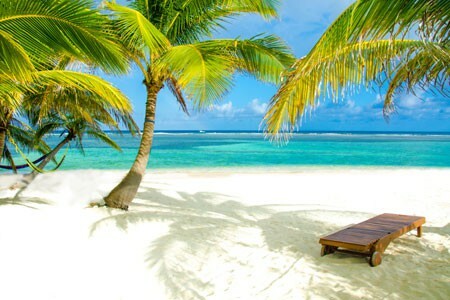 National Geographic magazine described it as “the most biologically intense place on earth.” It’s certainly remote. 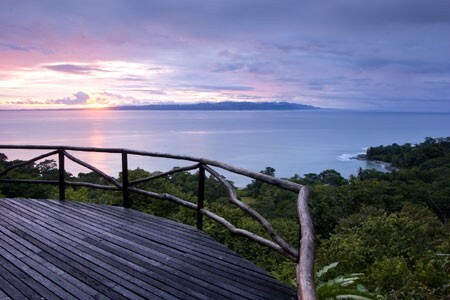 The Osa Peninsula is located on Costa Rica’s south Pacific coast and is an unforgettable destination. 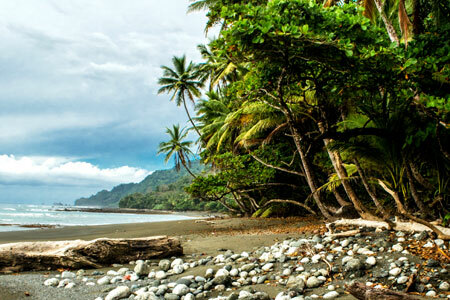 In a country with seemingly infinite eco-adventure destinations, Corcovado National Park may be Costa Rica’s magnum opus. 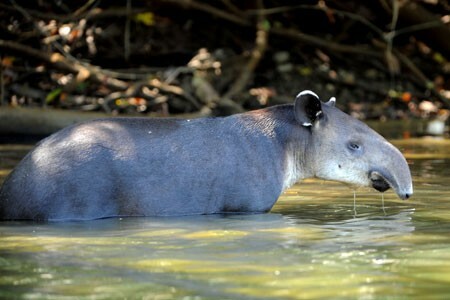 Reached only by plane or boat, covering more than a third of the Osa Peninsula, hosts nearly half of all of the species in Costa Rica, in one 424 sq. km/164 sq. mi reserve. 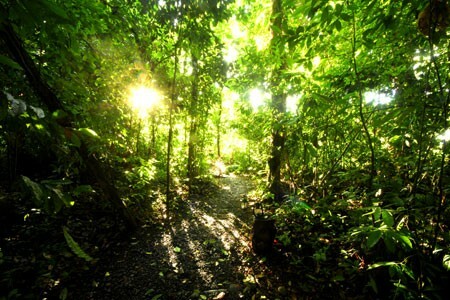 Although challenging, hot, and humid, a trek on the park’s jungle trails may reward you with views of monkeys, scarlet macaws, crocodiles, myriad bird species, and endangered wildlife like anteaters, , Baird’s tapir, and if you’re extremely lucky, jaguars. 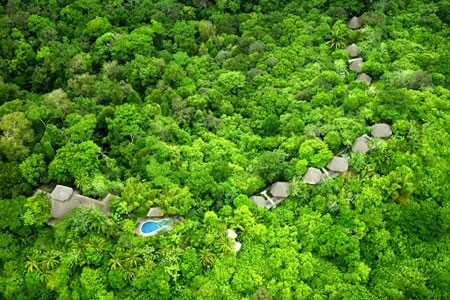 The Peninsula hosts several excellent nature lodges—in Puerto Jiménez on Golfo Dulce (Sweet Gulf), and on Drake Bay on the Pacific side of the Peninsula—where you can relax in luxury after a day exploring the jungle, some of Costa Rica’s best snorkeling and scuba diving, outstanding sportsfishing (off-shore and in-shore), sea kayaking, or kayaking through the mangroves. National Geographic magazine described it as “the most biologically intense place on earth. 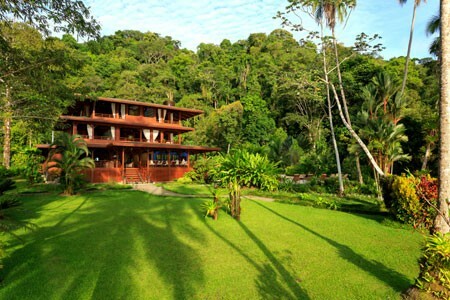 Here, intrepid travelers will find the Corcovado National Park, Central America’s largest virgin lowland rainforest. 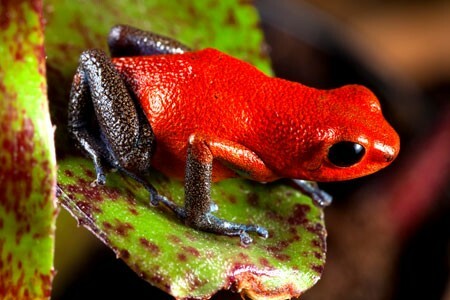 The park blankets a third of the peninsula and boasts some of the country’s most breathtaking scenery and most abundant wildlife, including four species of monkeys, two- and three-toed sloths, scarlet macaws, poison-dart frogs, and jaguars. 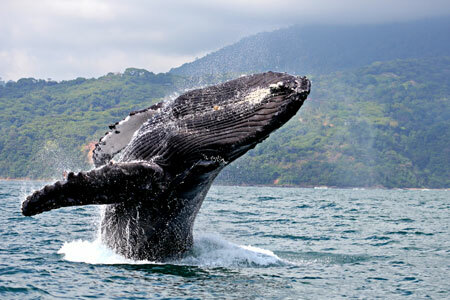 The peninsula has two sides: the dramatic and wild Pacific side and the Golfo Dulce side, which is one of only three tropical fjords in the world and home to humpback whales and dolphins. 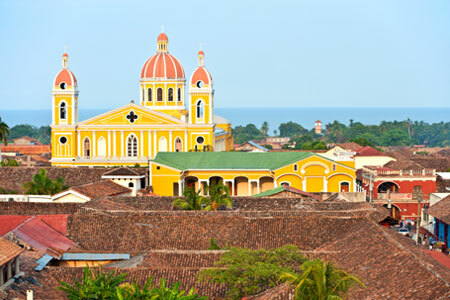 Puerto Jiménez is the main town on Osa and comprises just a handful of streets. In the sixties, it was a draw for gold miners and loggers; today, it serves as the principal access to the peninsula.